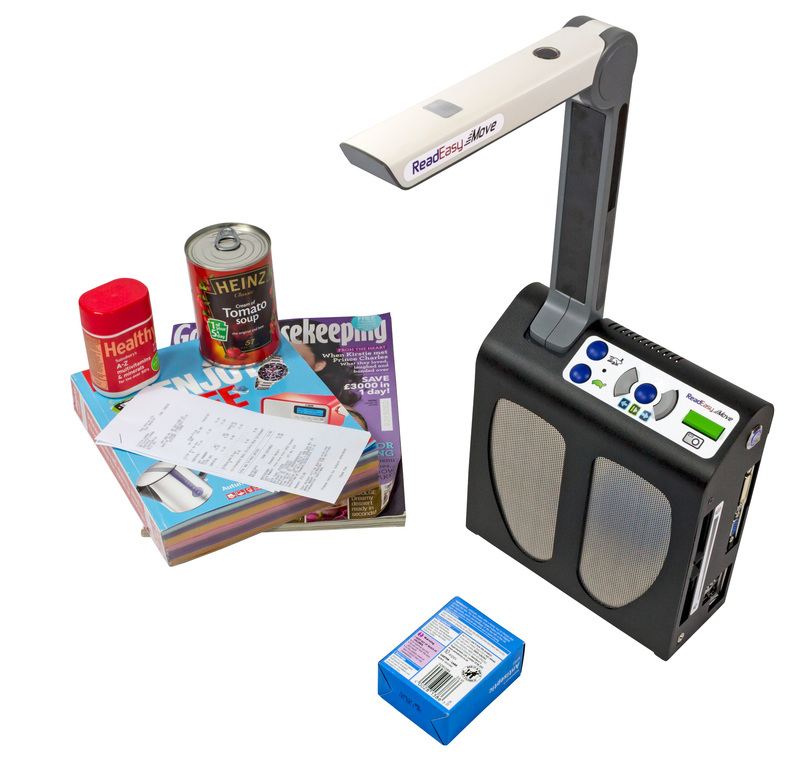 ReadEasy Move - lightweight, compact, stylish and easy to use - your ideal reading machine! ReadEasy Move is a portable machine that reads to you. Simply line your document up against the right hand edge of ReadEasy Move's case, press "Capture" and within a few seconds your document is being read out loud to you. Who is ReadEasy Move for? 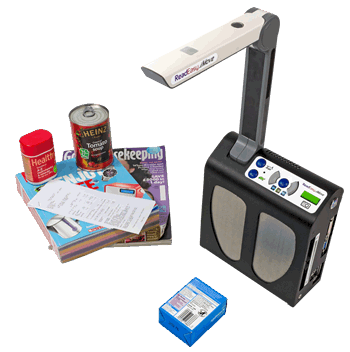 ReadEasy Move is for anyone who needs quick, easy and accurate access to printed material. Would like to be able to read in more than one place. What are ReadEasy Move's benefits? Ease of use: ReadEasy Move is so easy to use. A single button press is all it takes to start reading your document. The six tactile in built controls are all that are required to access ReadEasy Move's main features. 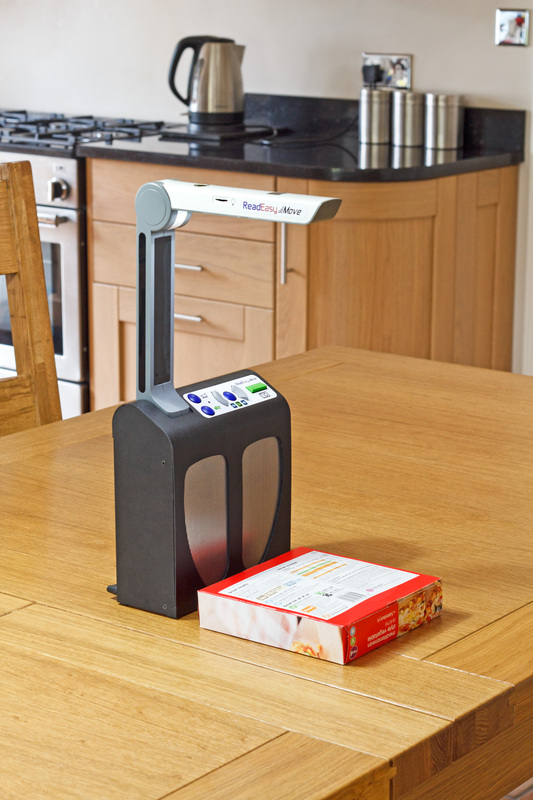 Accuracy: ReadEasy Move uses the latest camera and recognition technology to ensure it is as accurate as possible, even on complicated newspaper layouts or items such as tins of food. Speed: ReadEasy Move reads your document to you in just a few seconds, (typically 4), which means less waiting. Stylish and practical design: A stylish, all aluminium case together with a folding, magnetically detachable camera mean ReadEasy Move fits anywhere in your home. Footprint: Occupying just 192 x 78 mm, (7.5 x 3.1 inches), of table area, ReadEasy Move's footprint is 43% smaller than previous versions. 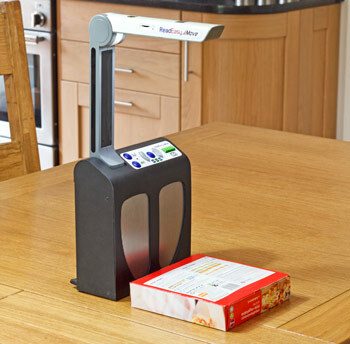 Weight: ReadEasy Move is one of the world's lightest free standing reading machine at just 1.80 kg, (4.0 lbs), making it easy to take with you or pack away. Versatility: Read almost any surface, flat or round. ReadEasy Move's camera allows it to capture deep into the spines of books without flattening them, as well as read 3D objects like tins. Advanced features available: Keypad, Low Vision and Low Vision Touch Feature packs greatly increase the capabilities of ReadEasy Move e.g. saving, importing, exporting, bookmarking documents and large print text output to a screen.